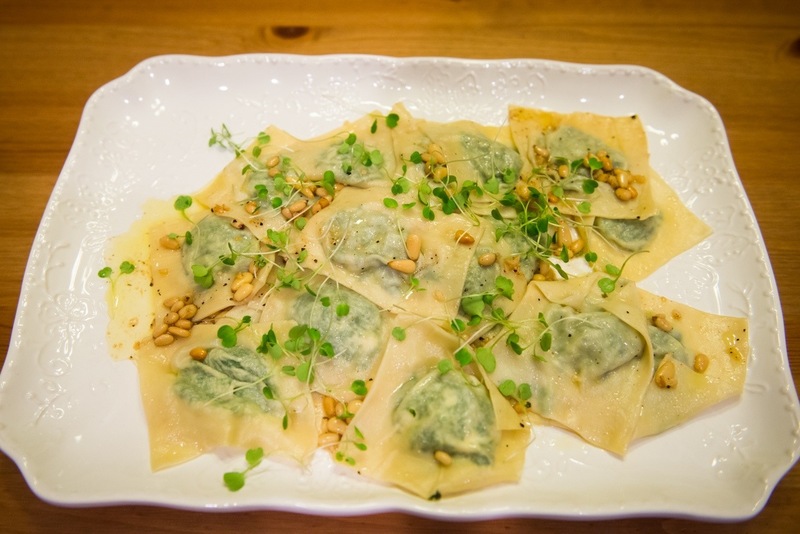 Like all homemade pasta dishes, this one takes some time, but you will have enough ingredients to make a few meals worth of ravioli, and it’s nice to treat yourself to a time intensive dish on a weekday night when you won’t have the time. 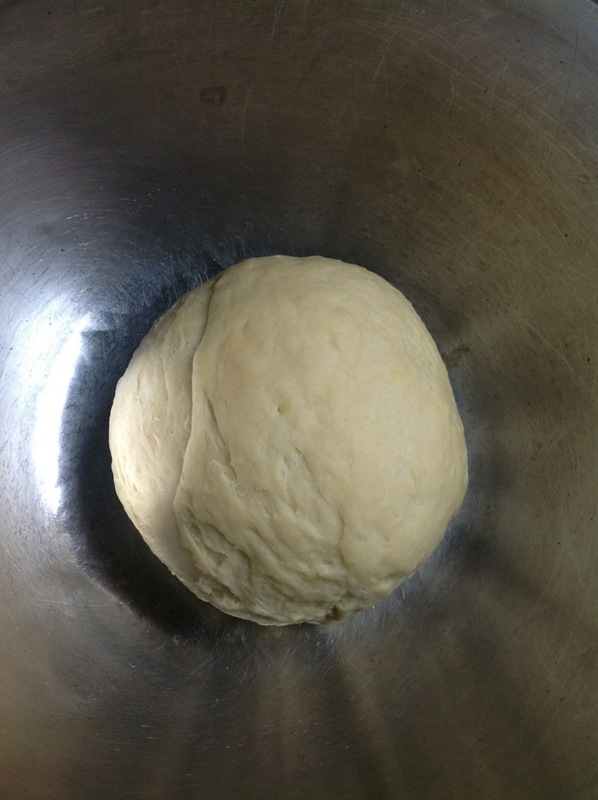 The pasta dough should be made first since it needs time to rest. 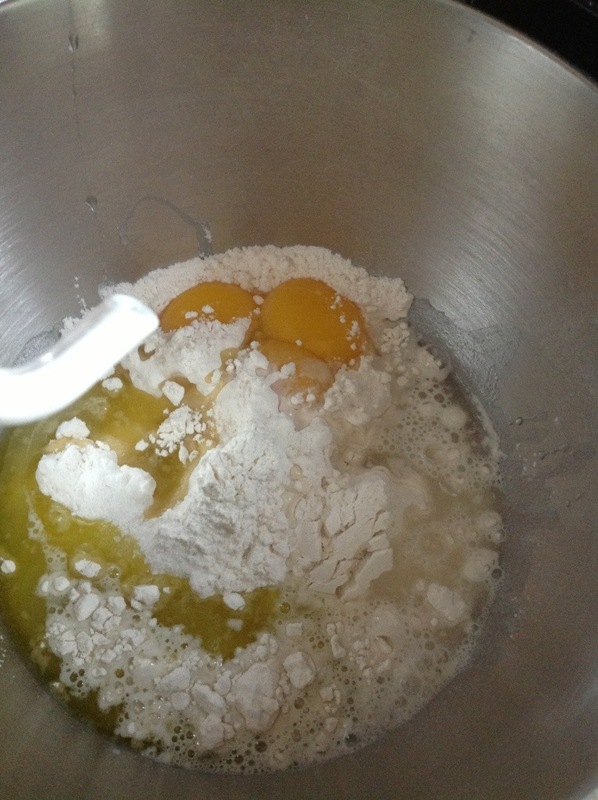 Combine the flours, egg yolks, olive oil, salt and water in a stand mixer with a dough hook attachment. Mix on low for about 2 minutes until the dough starts to form a ball, then bring the speed up to about medium and mix until the dough is smooth and elastic, about 5 more minutes. You may need to add more flour or water to the dough while mixing to get it to the right consistency. 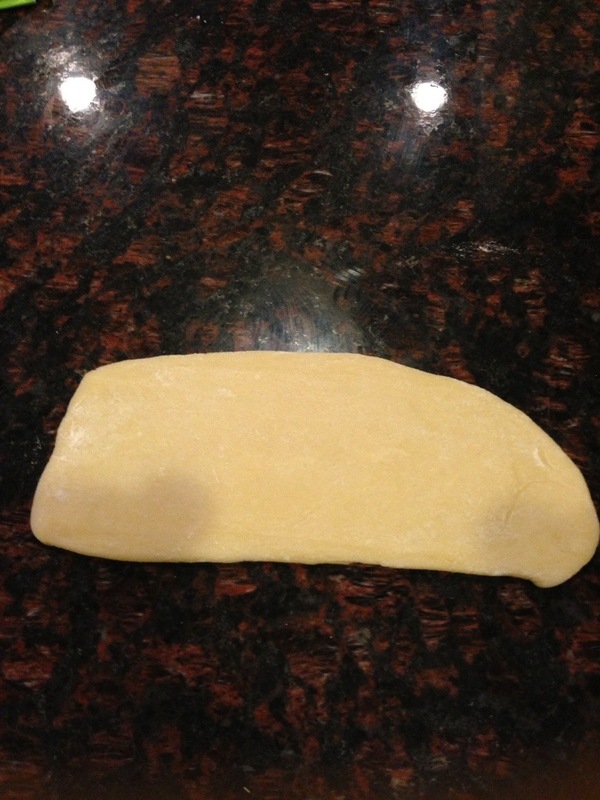 Wrap the dough in a piece of plastic wrap and set aside at room temperature for at least 1 hour. Meanwhile you can prepare the filling for the ravioli. Melt butter in a heavy bottomed pan over medium heat until the foam recede. Add the chopped garlic, salt and pepper, and cook until the garlic turns golden. Add the arugula and the lemon zest , turning with tongs and cook until wilted. 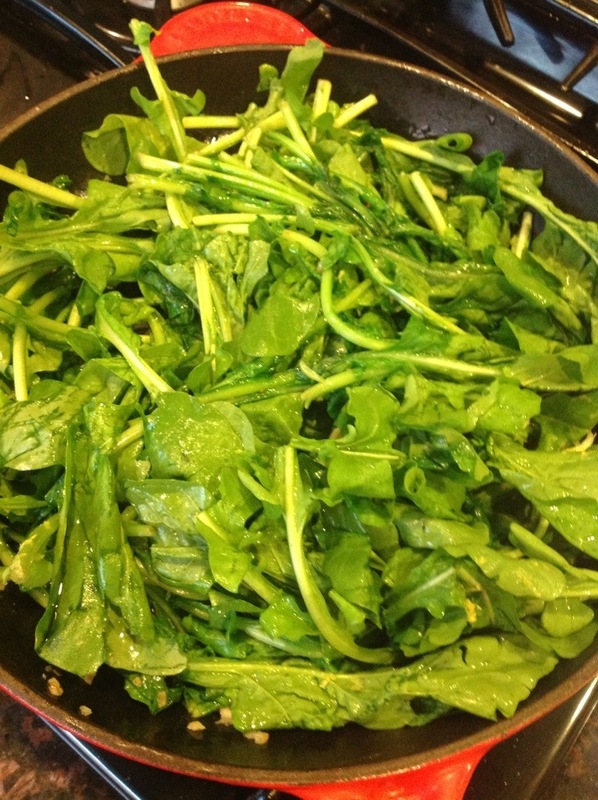 Remove the arugula from the pan and transfer to a sieve, extract as much liquid as possible and finely chop. 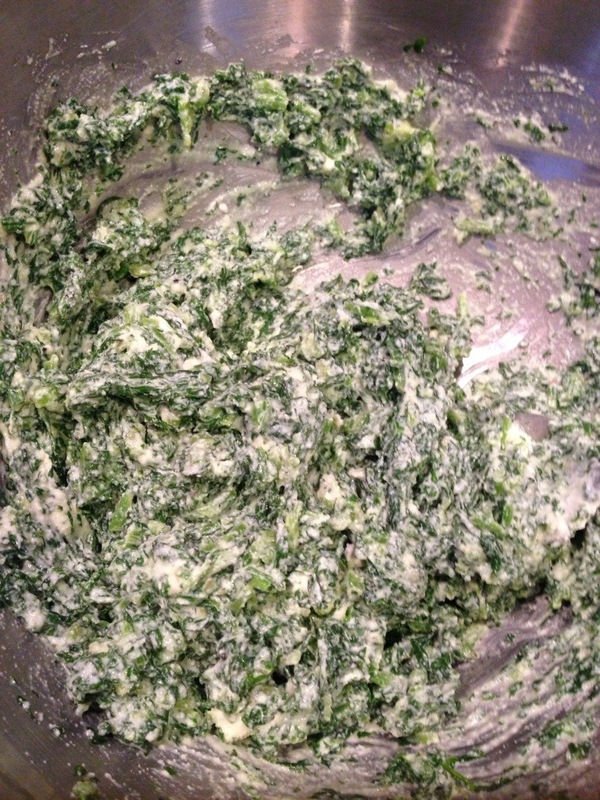 Transfer the chopped arugula to a medium bowl and mix in both goat cheese and ricotta. Cover the filling with plastic wrap and transfer to the fridge while you prepare the dough. Divide the dough into 8 pieces, and cover 7 pieces with plastic wrap. 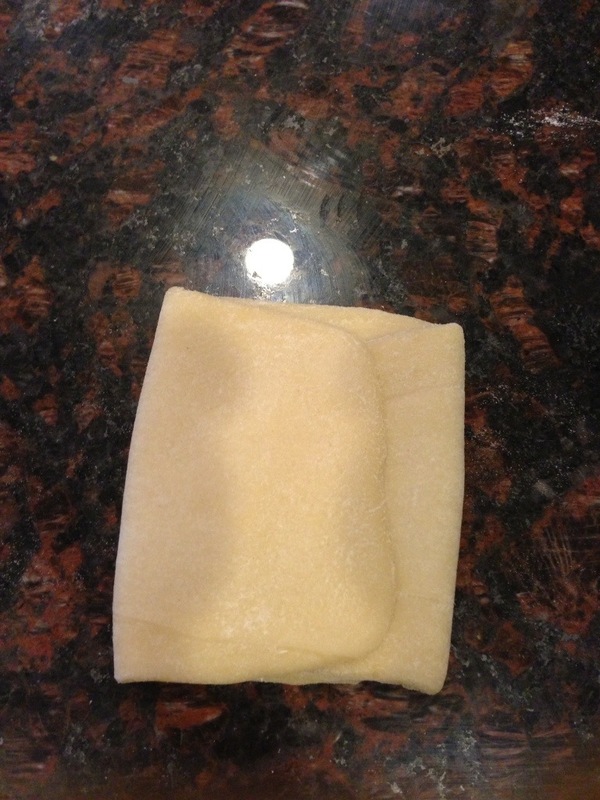 Shape the dough piece into a rough rectangle, then run it through a pasta roller set on the widest setting. 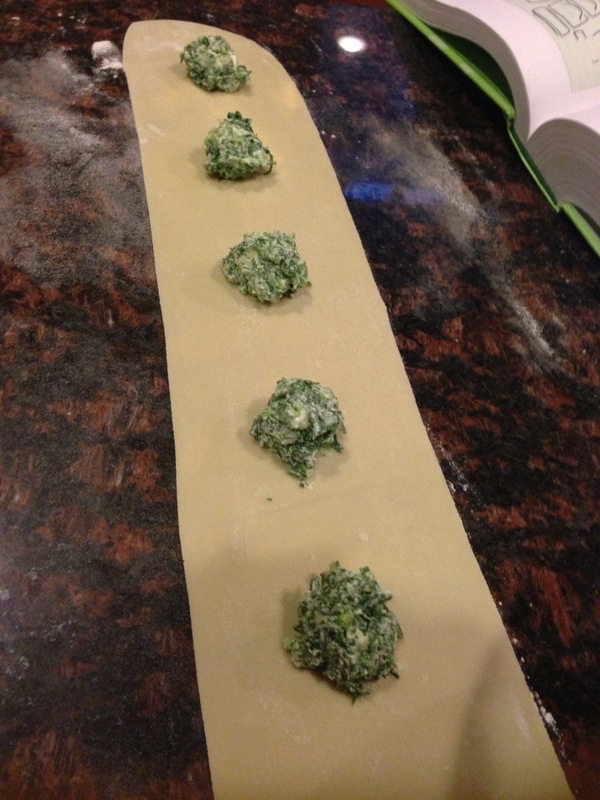 Fold the dough in thirds, like a letter. 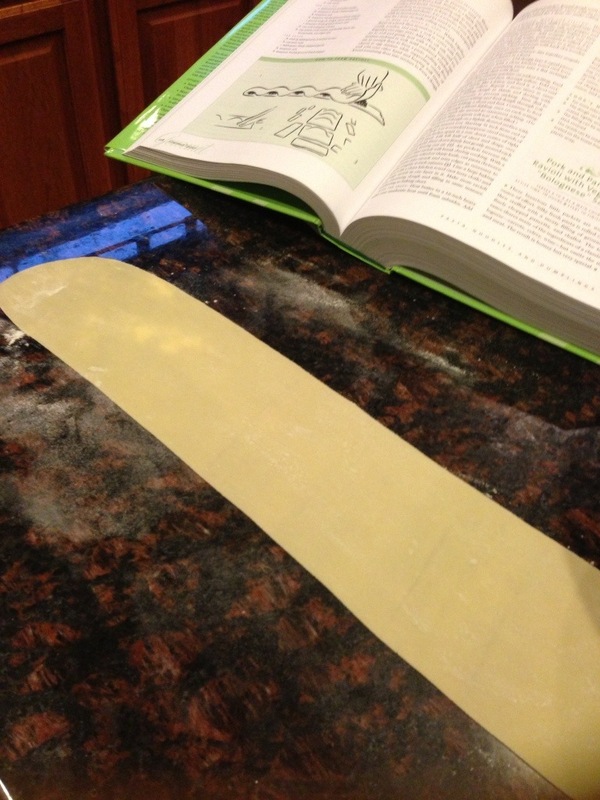 Run the dough through the pasta roller leading with the folded side. Repeat the folding and rolling for about 7 more times, always at the widest setting. Dust your work surface with plenty if flour, and start rolling the dough through the pasta roller in the next widest setting. Continue to roll the dough without folding through to the next to narrowest setting. 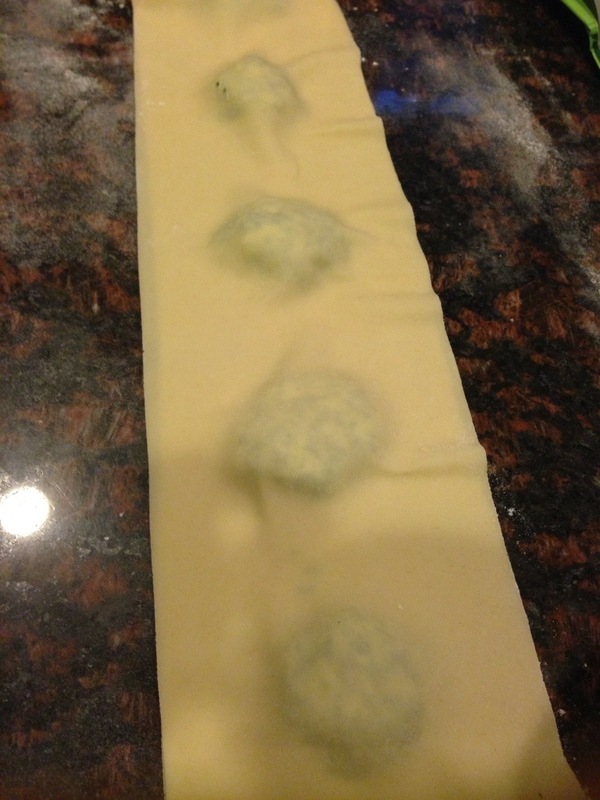 My pasta roller rolls put super thin sheets at the narrowest setting, so when making ravioli I usually use the next to narrowest setting. You don’t want your ravioli to break easily after all the work. Smooth out the pasta sheet and spoon out prepared fillings in teaspoonfuls, spaced at about 1.5 inches apart, through about half of the length of the sheet. 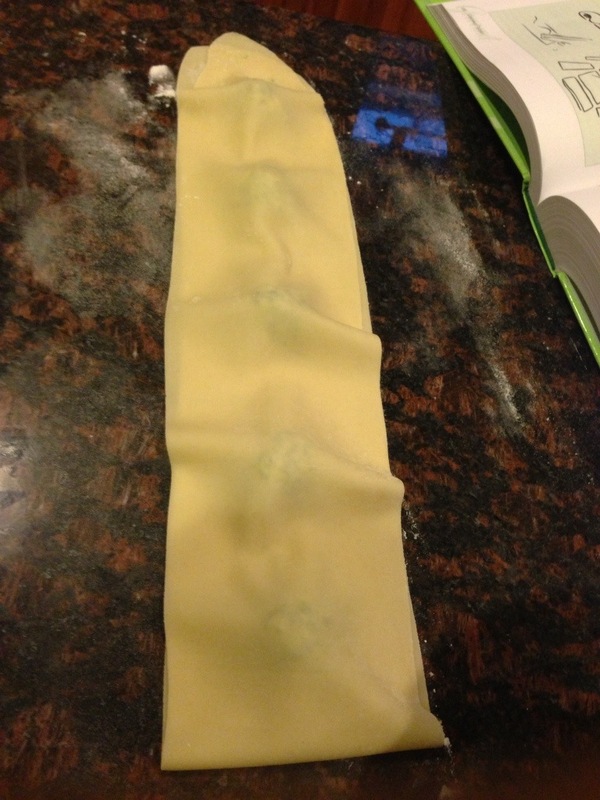 Fold the other half of the pasta sheet over the fillings. Gently pressing down around the filling to seal, carefully forcing any air out of the ravioli, as the air bubble may cause the ravioli to explode and break during cooking. 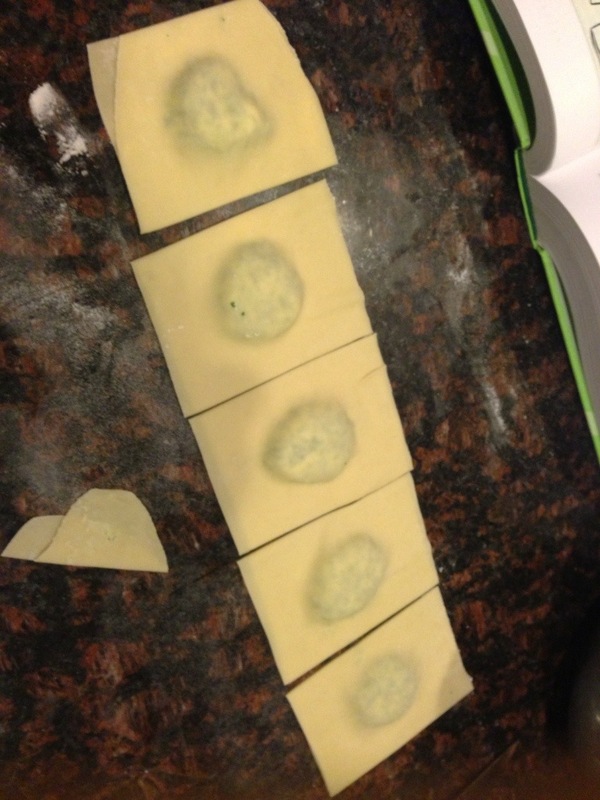 Cut the pasta to make about 2 inch rectangles, transfer to a baking pan lined with a clean cotton towel, and cover until you make the remainder of the ravioli. 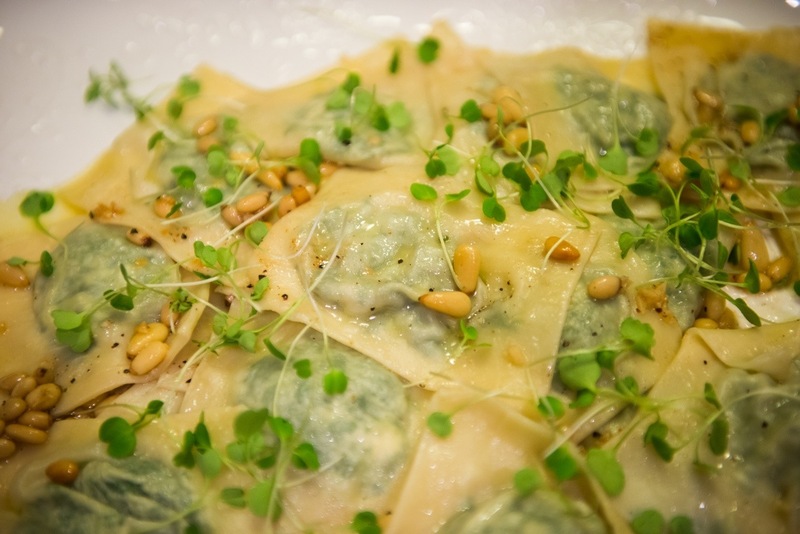 If you are cooking ahead of time, you can place the baking sheet in the freezer and once the ravioli has hardened, about 20-30 minutes, the individual ravioli can be transferred to a freezer bag. 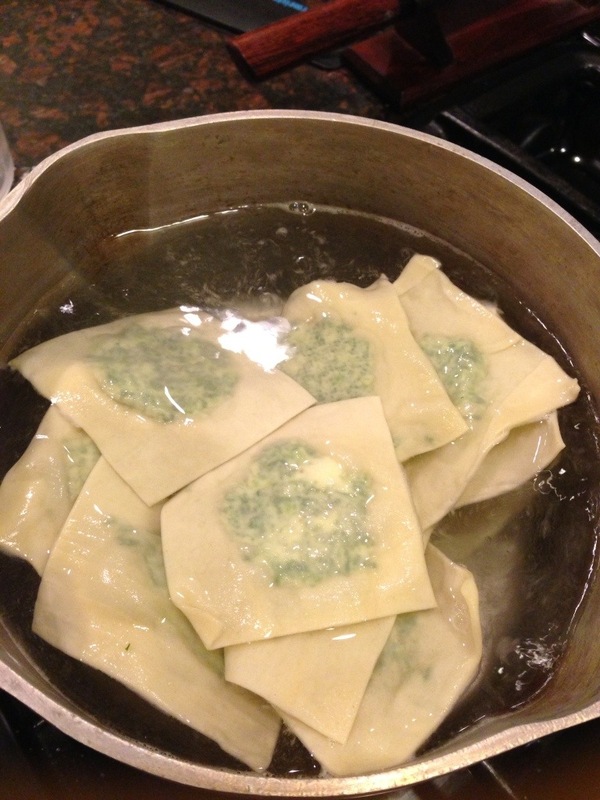 Once the ravioli have all been completed, start on the brown butter sauce. The sauce should be made and kept warm, and after the ravioli are cooked and drained, they will be tossed in the sauce to coat. 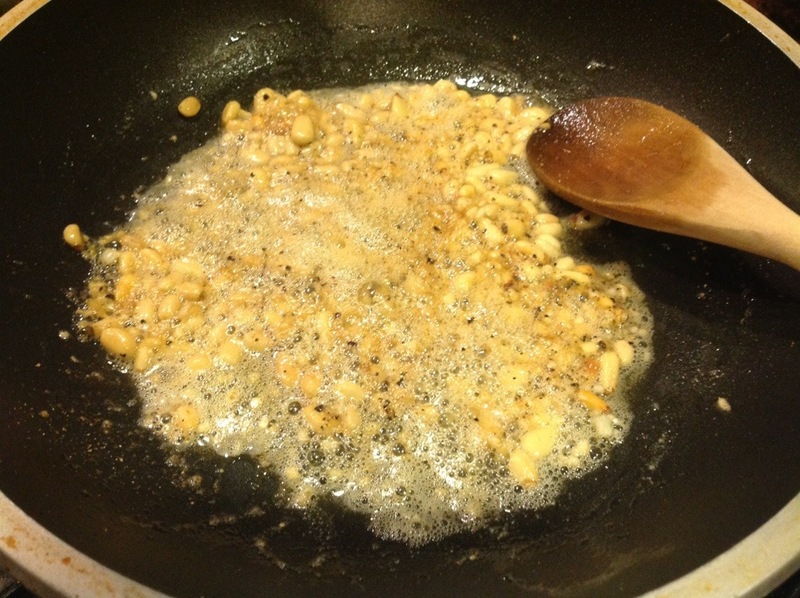 To make the sauce, butter is melted in a large skillet until the foam subsides. 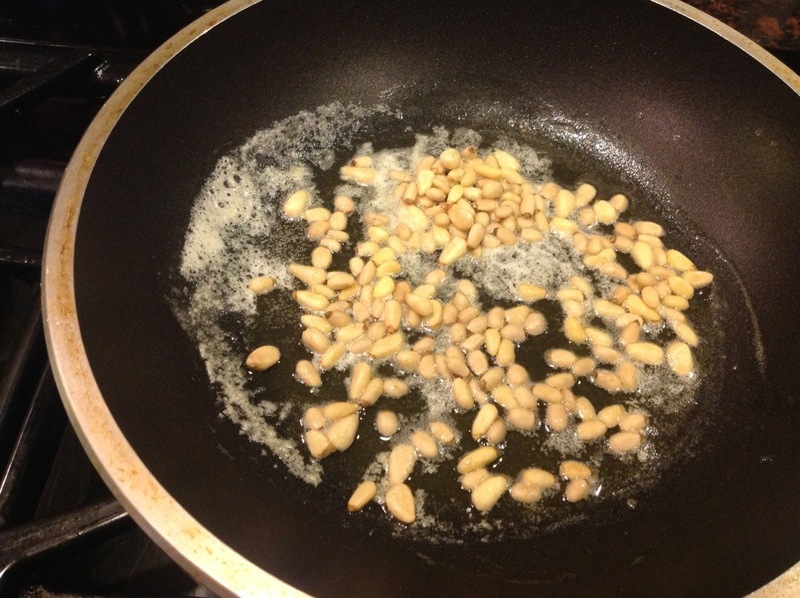 Add the pine nuts and cook over medium heat until light golden. Remove from heat and stir in lemon juice and olive oil. Bring a large pot of water to a boil, and add half of the ravioli, carefully stir with a wooden spoon, making sure the ravioli does not stick to the bottom of the pot or each other. 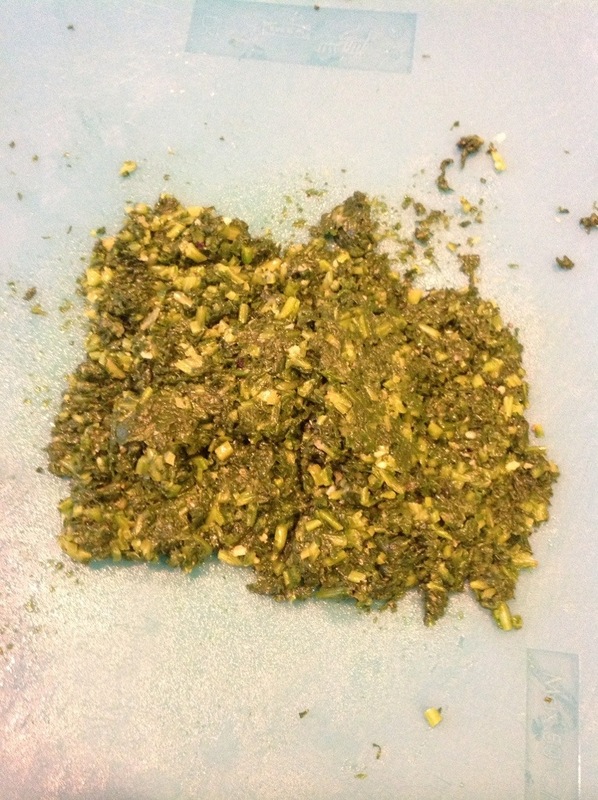 Cook the ravioli for 2-3 minutes, then remove with a slotted spoon, sieving off as much water as possible. 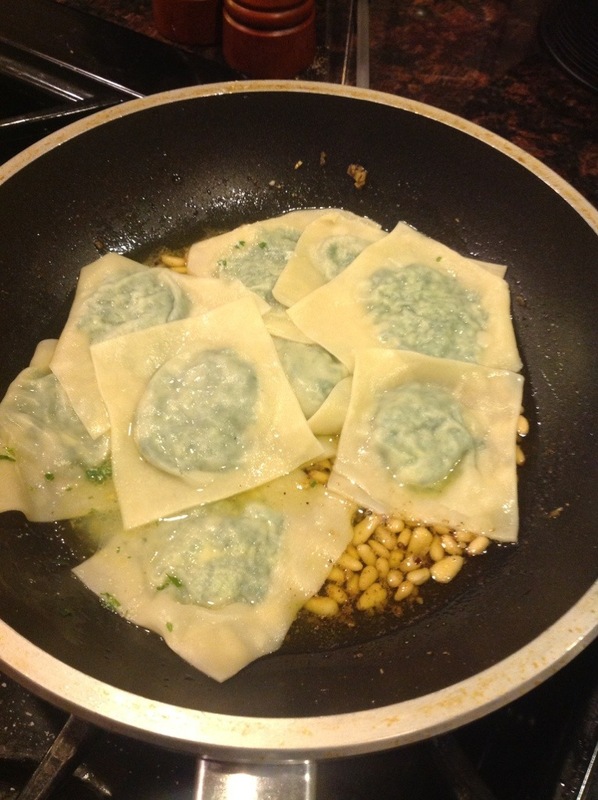 Transfer the ravioli to the large pan with the browned butter sauce. 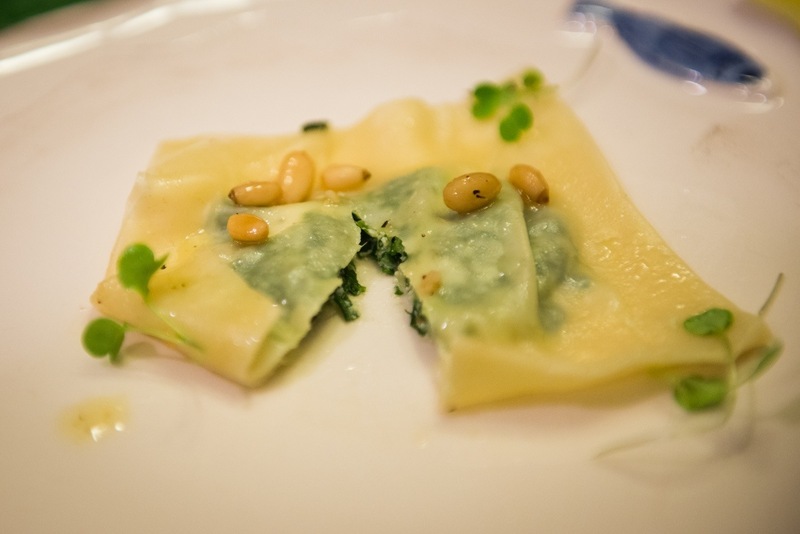 Transfer to a platter and spoon the sauce and pine nuts around the ravioli. I sprinkled baby arugula all over the dish to add some color. Serve immediately.